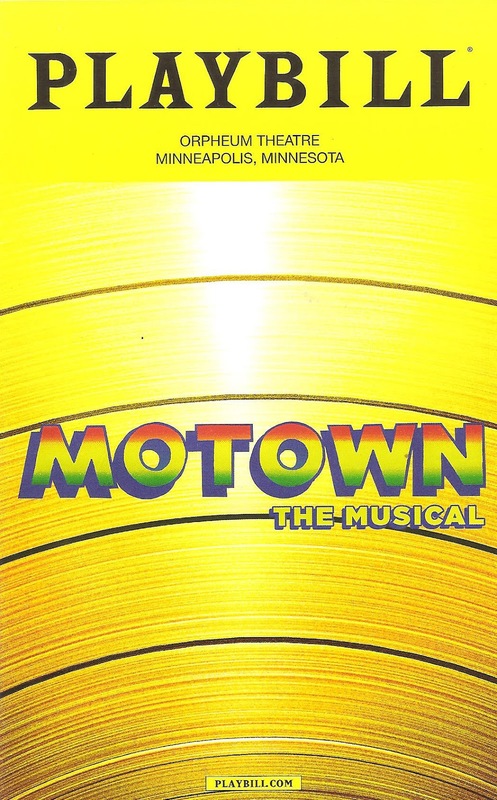 The founder of Motown Records, Berry Gordy, tells his own story in the musical - he wrote the book based on his auto-biography. The show begins with the 1983 TV special celebrating the 25th anniversary of Motown, and then we flash back to the beginning and track its growth over the years until we end up back in 1983. Along the way we're introduced to famous artists before they were stars - Smokey Robinson, Marvin Gaye, Diana Ross, and Michael Jackson to name a few. Berry helped start and grow their careers, and then many of them left Motown for better deals with other record companies. Because of this the company was actually in financial trouble in 1983, and in fact Berry sold it five years later. But this musical celebrates the heyday of the music, while touching on but not digging very deeply into a few historical events in that time period - the freedom riders, the assassinations of JFK and MLK, the Detroit riots of 1968 (although not the much larger and deadlier 1967 riots, see Dominique Morisseau's excellent play Detroit '67 for a better mix of music, history, and race relations in Detroit). What's your favorite Motown song? Chances are it's in this musical, which incorporates songs both organically (as concerts) and musical-theatery (as characters singing in character). For me, anything that involves men in suits singing harmony and performing sharp synchronized dance moves is where it's at. I've read complaints about the show that because there are so many songs, most are performed only as short excerpts, not giving most of them their due. But that didn't bother me, perhaps because I don't have a particular attachment to any of these songs and enjoyed hearing the most familiar phrases of each. My one disappointment as far as the music is that we didn't see a grown-up Michael Jackson at the 25th Anniversary special. His performance of "Billie Jean," wearing one sequined glove and moonwalking across the stage, is iconic and one I remember watching and being spellbound by at nine years old. We only see Michael as a the lead kid singer of the Jackson Five, which is pretty cool too but not the Michael I connected to in my youth. 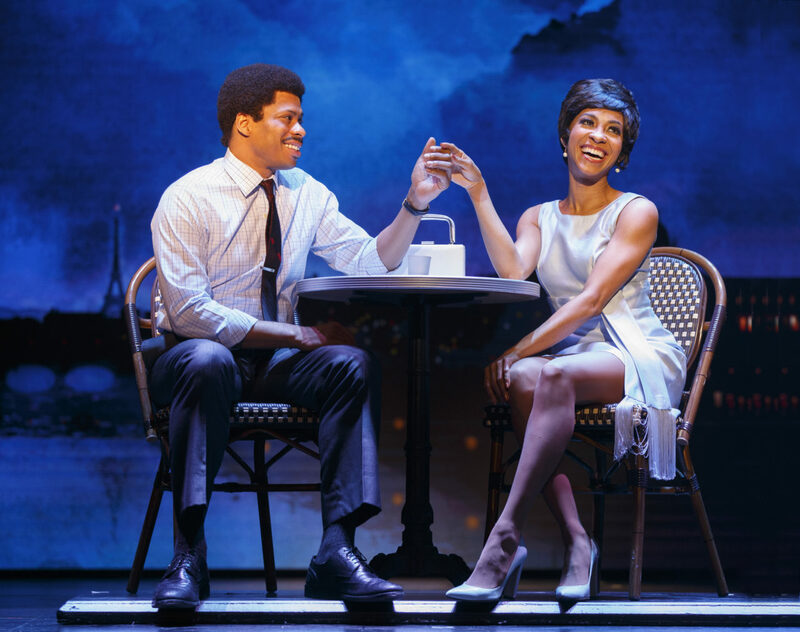 The fantastic cast of the Motown the Musical tour is chock full of talented performers who bring this music and these artists to life with energy and soul. 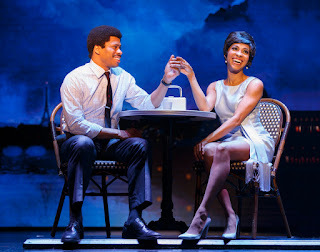 The standout is Chester Gregory, who gives a phenomenal performance as Berry Gordy. I don't know if the real Berry is a singer (as well as a songwriter and producer), but the fictional Berry can really sing! Through changing wigs, Chester keeps Berry consistent as an ambitious man, passionate about the music and determined to bring it to the people. As the Queen of Motown (and Berry's onetime romantic partner) Diana Ross, Allison Semmes is a charmer, with the audience in the palm of her hand (coincidentally, the real Ms. Ross was performing across the river at the Northrup last night). There are so many great performers in the cast playing a number of roles that it's impossible to call them all out, but a special mention must be made of the adorable young man playing young versions of Berry, Stevie Wonder, and Michael Jackson (Raymond Davis Jr. and C.J. Wright alternate in the role). 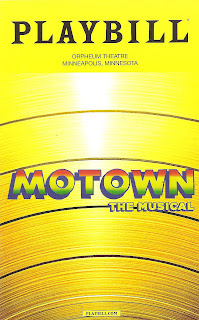 Motown the Musical, a celebration of an era of music that's an integral part of our culture, continues at the Orpheum Theatre through July 16 (discount tickets available on Goldstar).